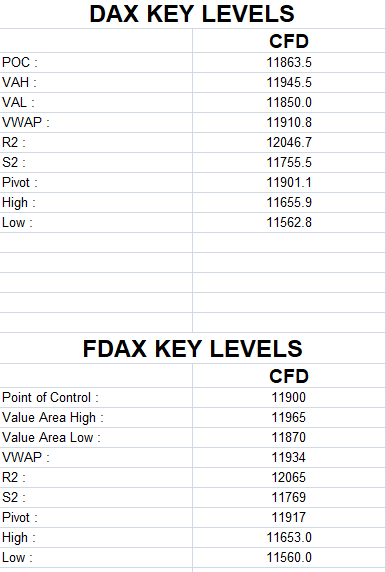 We found 11 866 as a low for yesterday on DAX futures, and a similar level this morning too. 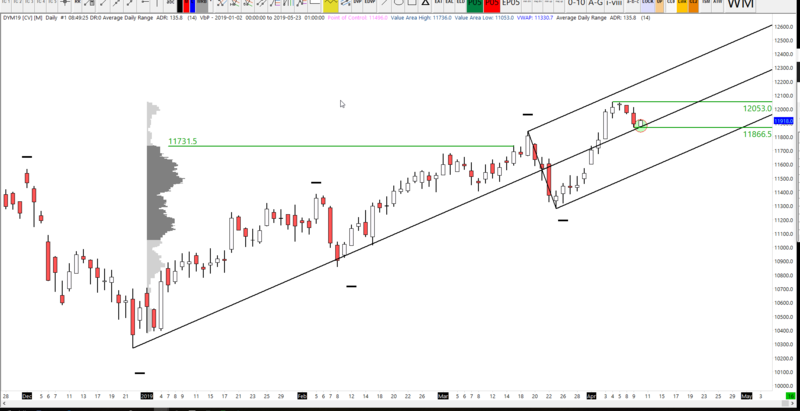 If we look at the daily chart I am noticing that we have bounced from the median line. So today I will be watching out for any reaction from the underside of 11 930. Breaking below 930 yesterday means we have ended the series of higher highs and higher lows. These are indicated by the blue swing markers on the chart below. I have removed the fork line set that featured for the last few days, but I have kept the arrow which were suggesting a further move to the downside. If we hold below 12,000 then go on to great this current low of 11 866 then we could well see a further retracement down towards the 11 750 zone. The profile for yesterday has two distinct high volume areas. One around the valley very high and the other one towards the bottom underneath 11 930. If we look at the composite profile on the right and compare the two profiles together, we can see they both share the low-volume zone between 11 930 and 11 965. 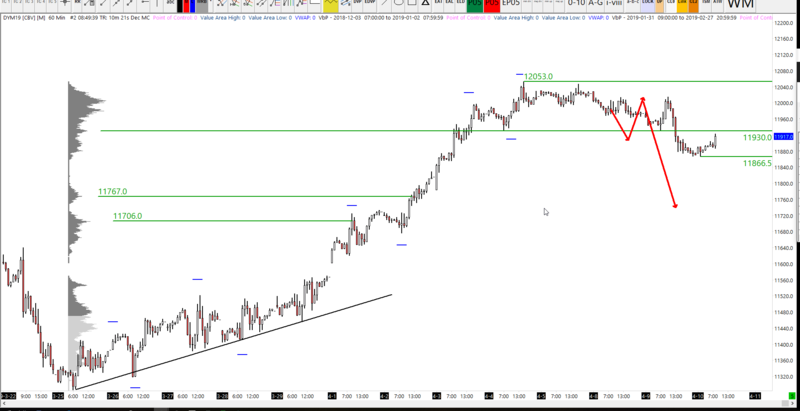 So I think it’s definitely possible for us to reach 11 965 today or somewhere close.